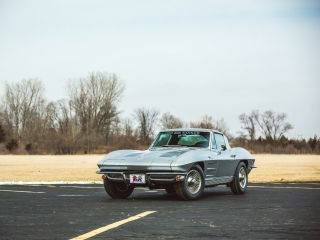 This 1963 Chevrolet Corvette Z06 Tanker, one of 63 produced, will be auctioned on Saturday, April 16 during Mecum Houston 2016. Photo courtesy of Mecum Auctions, Inc.
Mecum Auctions, the world’s largest collector car auction company, will return to Houston for the fifth consecutive year with prospective buyers from across the nation converging on NRG Center for the estimated 1,000 American muscle cars, Corvettes, classics, hot rods, Resto Mods, and more set to cross the auction block. $30 per day; $60 for three-day pass.